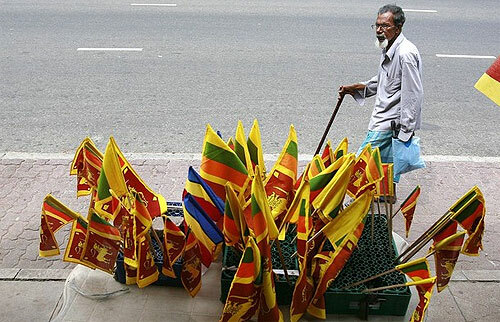 Tomorrow's Independence celebration will be the first such celebration taking place after the defeat of terrorism and soon after President Mahinda Rajapaksa was re-elected in an overwhelming mandate. The 62nd Independence Day will begin tomorrow at 8.30 am at the precincts of the Sri Dalada Maligawa, Kandy, presided by the President. The main Buddhist religious rites will be held at the Sri Dalada Maligawa, Kandy while Hindu religious rites at Sri Selva Vinayagar Kovil, Katukele, Kandy, Roman Catholic rites at St. Anthony’s Cathedral, Kandy, Islamic rites at Meera Makkan Mosque, Kandy and Christian rites at St. Paul’s Church, Kandy. The official ceremony will be held under the patronage of chief prelates of Malwatte and Asgiri Chapters, Diyawadana Nilame Nilanga Dela Bandara and Public Administration and Home Affairs Ministry officials. President Rajapaksa will hoist the national flag by 8.50 am followed by the national anthem. Two minutes silence will be observed at 9.07 a.m. to honour patriots who sacrificed their lives to protect and preserve freedom and the territorial integrity of the country followed by a 21 gun salute to the President. The Independence Day address to the nation will be delivered by the President at 9.15 a.m. followed by the Army, Navy, Air Force and Police march past at 9.45 a.m.
Military parades and cultural pageants with 2,000 security forces personnel and 1,200 artistes from cultural bodies and Dalada procession unit will be among the highlights. Two thousand special guests will also participate and the area around Mahamaluwa has been declared as high security zone. The public can enter the area after producing their identity cards. All night pirith chanting and religious observances were held at the Independence Hall, Independence Square, Colombo. The pirith chanting ceremony was headed by Chief Incumbent, Gangarama Viharaya, Ven. Galaboda Gnanissara Thera with the participation of Religious Affairs Minister Pandu Bandaranayake and senior officials. This will be followed by an alms giving at Gangarama Viharaya today. Floral tribute to the first Minister D. S. Senanayake’s statue at Independence Square is also among the day’s events.